Zebra’s TC70/TC75 series are professional-grade devices that offer cutting-edge, fast data access and real time communication. With a Zebra TC70 / TC75 mobile computer in hand, front line workers can deliver the level of service needed in today’s world, executing every task as quickly and efficiently as possible. These business-grade devices combine the intuitive and elegant smartphone experience with today’s most advanced enterprise class features. 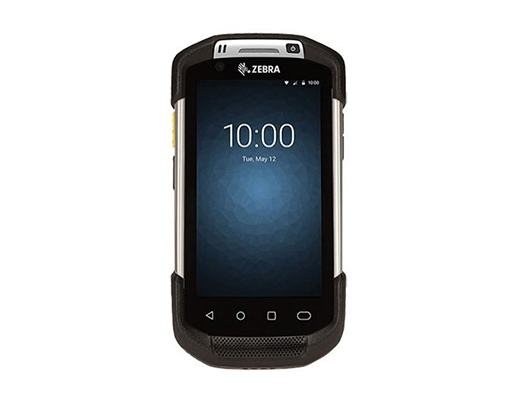 The Zebra TC70 and TC75 both feature rugged designs – built to last for years, a choice of Android or Windows 10 IoT Mobile Enterprise operating systems, enterprise class voice capabilities that include telephony, messaging, and secure push-to-talk, and an innovative range of accessories allowing you to fully tailor your device to your business requirements. 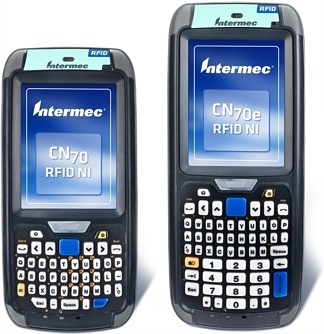 For more information about the Zebra TC70 and TC75 enterprise mobility handheld computers contact Dematic Real Time Logistics today. SimulScan Document Capture, which allows users to instantly capture and process all the information on documents and forms. Dual mode capacitive touch display allows workers to choose their preferred pair of data input modes — finger and stylus, or finger and gloved finger — and switch between the two modes on the fly. Rugged design, with a 2.4 m Military Standard drop rating and multiple 1.8 m to concrete certification, tumble tested to 2,000 consecutive 1 m hits, and IP65 and IP67 sealed. 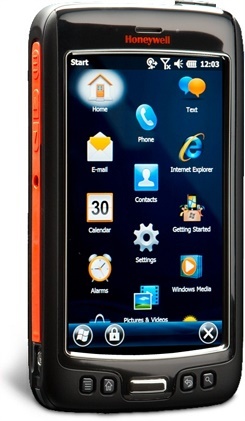 The Zebra TC70 and TC75 also feature Corning® Gorilla® Glass touch panels and scanner exit windows. OS Flexibility — choose between two of the most advanced and intuitive mobile operating systems — Android and Windows 10 IoT Mobile Enterprise. Three microphones, advanced noise cancellation technology and a front facing speaker with four times the loudness of popular smartphones give exceptional call clarity, even in a retail store during the peak holiday shopping season or on the road in city traffic. A full range of innovative accessories, including Unique 2-slot and multi-slot ShareCradle, Snap-on magnetic stripe, PowerPrecision battery technology for better power management, and Snap-on trigger handle. 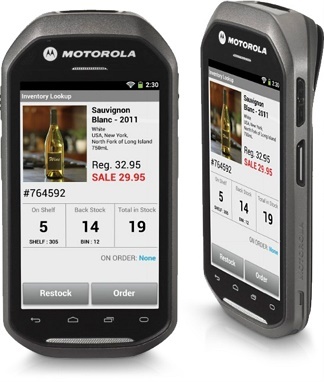 Honeywell’s advanced 4G/LTE, enterprise-ready handheld computer is designed for highly mobile frontline employees, for scan-intensive workflows. The Zebra MC40 offers a sleek design that rivals the most popular consumer-style products whilst providing enterprise-class durability, security and a comprehensive set of features including advanced barcode scanning, push-to-talk and an integrated magnetic stripe reader. The Honeywell CN70 and CN70e ultra-rugged mobile computers are ideal for field mobility applications that demand a compact design with industry-leading ruggedness. Honeywell’s CN51 mobile computer has been designed to be versatile, offering thousands of ways to get more done. 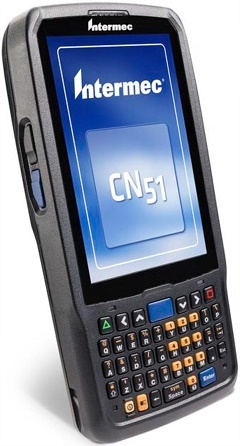 With a choice of Android or Windows, superior scanning capability, better battery, and more processing power, the CN51 boasts a superior user experience. 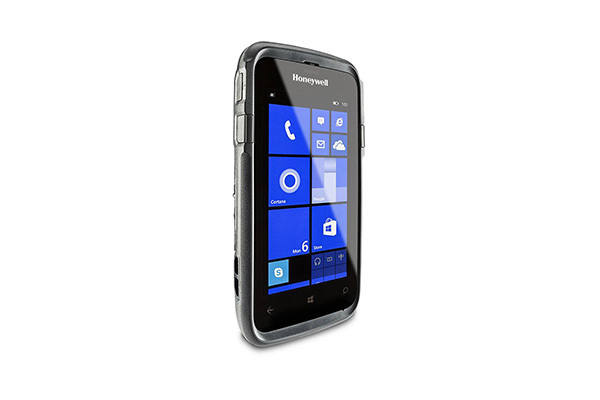 The Dolphin 70e Black – Honeywell’s latest enterprise device – successfully marries the size, style, and usability of a consumer device with the reliability and longevity of a traditional rugged hand held.